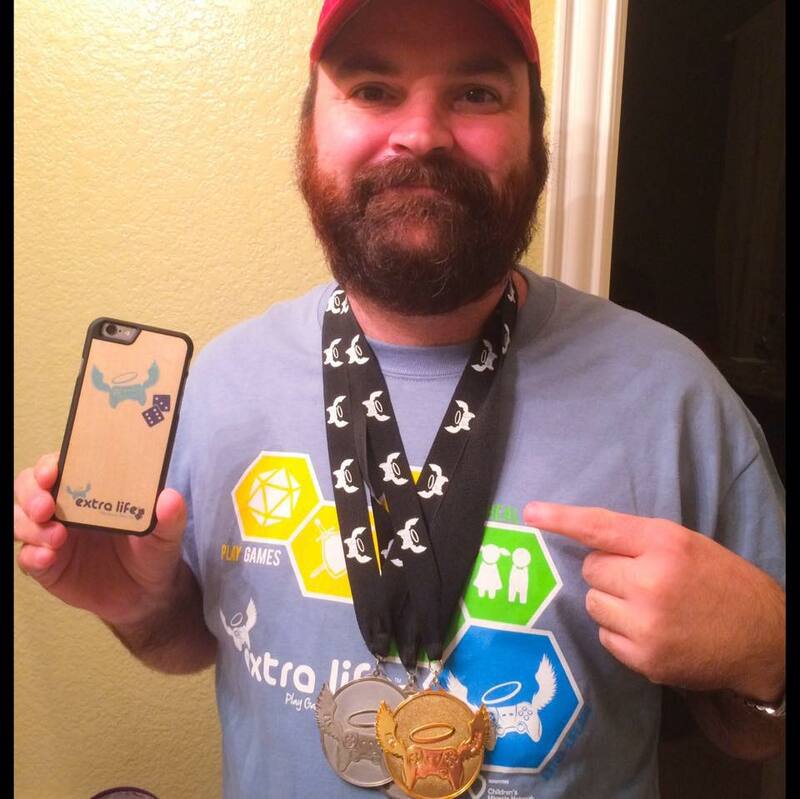 Lee Williams proudly displays items he earned while participating in Extra Life. This is Lee’s 8th year fundraising with Extra Life and has raised $650 so far this year. He is an inspiring example of who we all should strive to be. He is a loving husband, amazing father, and in addition to working his day to day job, Lee takes time every year to make life better for children in the hospital. Thank you Lee for your 8th year of service to others. In this season of thankfulness, McLane Children’s wants you to know that we are ever so thankful for YOU. Keep rocking at life Lee. You certainly put the “extra” in Extra Life.